Our appointment system allows patients to access a GP up to two weeks in advance or with our nurse up to eight weeks in advance. Appointments are available on the day, if you need to be seen, with an allocated GP. Appointments may be pre-booked up to 2 weeks in advance with your GP. Patients needing to be seen urgently on the day will be accommodated. All of the nurses appointments are available to be booked in advance. Appointments for medicals, cryocautery, coil fitting, antenatal/postnatal clinics and minor surgery may all be pre-booked. A Nurse Practitioner can assess, diagnose and treat illnesses and prescribe medication. She can refer you for tests or onto one of our own GPs as appropriate. You will find that the Nurse Practitioner is the person to book with on the day if you have an acute illness. The Nurse Practitioner clinics are available daily. 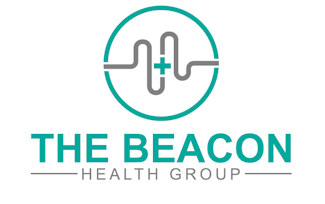 Many of you know that the Nurses at The Beacon Health Group are a vital part of the team and provide a wide range of services. From 1st July 2015 we will be providing additional appointments outside of core opening hours for patients who are unable to attend the surgery during normal opening hours. We are providing extended access" from 6.30pm-8.00pm on Monday evenings and Friday mornings 7.00am-8.00am. A pot of funds released by the termination of PMS contracts (affecting six GP practices in Mid Essex) have been distributed and allocated to all surgeries within the Mid Essex area. All practices have been given the opportunity to bid for funds that have been allocated to them based on their list size. The Beacon Health Group has successfully bid for temporary funds to enable additional appointments to be provided by a GP and Practice Nurse each week. These funds enable us to offer a further four GP clinical sessions (62 appointments) and a further 46 Practice Nurse appointments a week. Danbury Medical Centre and Mountbatten House participates in the further training of doctors who are experienced in hospital medicine and wish to make their career in general practice. We also facilitate the training of medical students, nurses, administrative staff and work experience students. Occasionally we wish to video consultations but only with the patient's consent. Confidentiality is respected for patients of all ages and all our staff are bound by the same strict code of confidentiality that is observed by the doctors. As a training practice we are subject to an inspection every three years. Part of the process is an inspection of medical records for quality, not content. If a patient objects they must let the practice know and these notes will be withdrawn.